Justine Perry Duke passed away on Saturday, December 28, 2013, after a three-year battle with ovarian cancer. 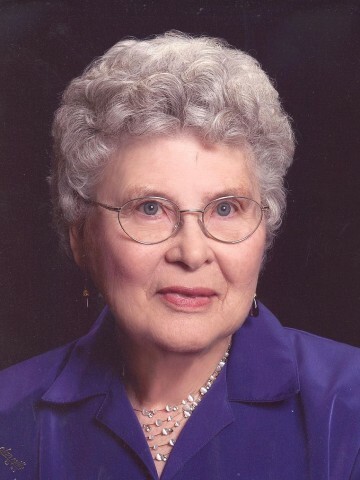 Born and raised in Davidson County, she was a graduate of Isaac Litton High School in 1944 and returned to Litton to serve as secretary to the Principal for five years. In 1953 she married Harold Wesley Duke and devoted her time to raising their four children. She was predeceased in death by her husband; a daughter, Leslie Elaine Duke; grandson, Tyler Garrett Duke; three brothers, AD Perry, Jr, Edwin Perry and Kenneth Perry; and two sisters, Helen Perry and Evelyn Rives. She is survived by three sons ﾖ George (Lucy) Duke of Baltimore, Ken Duke of Hendersonville and Stan (Lisa) Duke of Knoxville. She is also survived by six grandchildren ﾖ Elizabeth, Weston, Robert, Molly, Hope,and Yuan Yuan, and three remaining sisters ﾖ Mary Grissom of Madison, Bonnie (Clay) Marrs of Johnson City and Nancy (EW) Hoover of Hendersonville. Mrs. Duke was a lifelong active member of the Litton Alumni Association where she served in several officer positions. She was also a member for over 60 years of the Nashville chapter of Beta Sigma Pi, a women's service organization. She had also been a member of the Hendersonville Church of Christ and National Association of Retired Federal Employees for over 35 years. Visitation will be on December 30 between 2 pm ﾖ 8 pm at Cole and Garrett Funeral Home in Goodlettsville. The funeral service will be held on December 31 at Hendersonville Church of Christ at 11 am. The internment will be at 10 am on January 1 at Spring Hill Cemetery. Active pallbearers will be Mrs. Duke's sons and grandsons. Honorary pallbearers will be Nan Batey, Joan Pendergrass, Melody Bowers, Nancy Puryear Haskins, members of the Lunch Bunch of Hendersonville Church of Christ, Gray Potter, Litton Class of 1944 and other members of the Isaac Litton Alumni Association, sorority sisters of Beta Sigma Pi and members of NARFE. The family would like to recognize and thank Alive Hospice and a special thank you to Sue Keeter as her special care giver. In lieu of flowers, the family asks the memorials be made to the Leslie Duke Scholarship Endowment at the University of Tennessee at Martin or to the Tyler Duke Foundation. Stan and Lisa, I am so sorry for the loss of your mother. Knowing Stan, I know that she was an incredible woman. I regret that I was unable to get to the service. Love your family! Your dad hired me in 1972 and that job changed my future. I will always be grateful. Hey Guys, Sorry to hear about your mom. Our parents shared many good times together. I remember one time in particular your dad served Bar-B-Q Deer. I thought a lot of Justine. She was smart & caring & a great secretary @ Litton. I will miss her calls. My Aunt Justine was a beautiful and wonderful person who loved her family and was committed to living her life as a testimony of that love. I will always cherish the many wonderful childhood memories of Easters and Thanksgivings at Aunt Justine and Uncle Harold’s. Her devotion to her family, her childhood friends and the Lord were a constant witness to me and I know I am better for having known her. George, Ken and Stan, I am so very sorry for your loss. Your mother was an amazing woman and I feel so very blessed to be a part of her extended family. Mrs. Duke I thank you for the blessing you brought into my life. I was honored to work for you these past four years and am so thankful for your friendship, Christian guidance, encouragement, and love. I so looked forward to seeing you every Wednesday and will miss you terribly. I loved hearing stories of your precious family that you loved so very much. Thank you for sharing your family with me. I enjoyed your life lessons and the advice you gave me. I will miss your sweet smile and the twinkle in your eyes. I fondly remember how Justine loved all the students She was a friend to every one and was very protective of us,we loved her equally as much. Chapter 859. She was a nice lady.